Right now, we are working with partners, including Northwest Indiana Resistance, to stop the 100+ deportations being carried out at the Gary-Chicago International Airport every Friday. More than 20,000 immigrants have been deported from our region as of April of 2016. 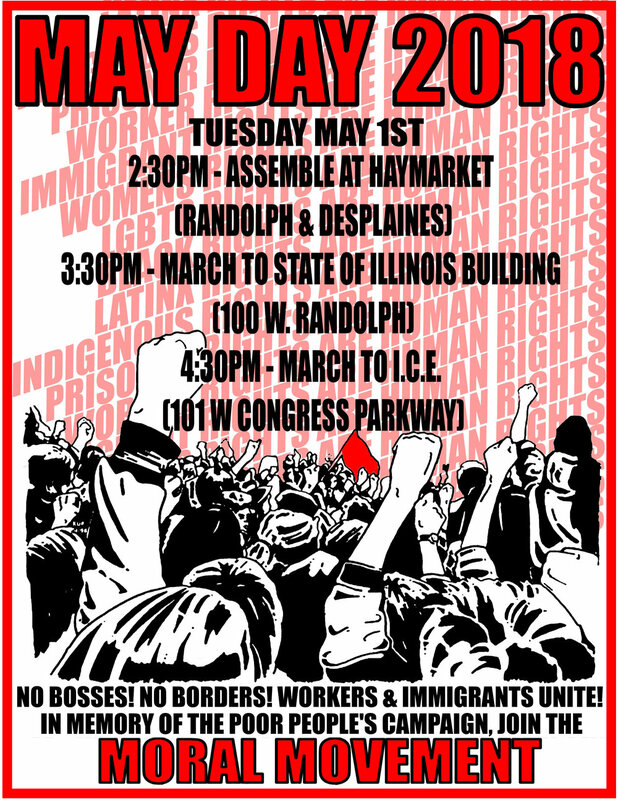 The Labor Committee on Immigrant Worker rights leads organizing efforts for mass mobilizations on May Day every year, highlight workers' rights and immigrant rights. The Labor Committee on Immigrant Worker Rights (LCIWR) is a project of Chicago Jobs with Justice bringing together unions and worker centers that are representing and organizing immigrant workers, both documented and undocumented, to advocate for meaningful immigration reforms and an end to deportations, as well to mobilize to protect workers from retaliation for organizing based on immigration status. The Labor Committee on Immigrant Worker Rights meets on the 1st Wednesday of every month at 10 AM at Jobs with Justice at 333 S. Ashland. ATU 308's Deborah Lane speaking out against attacks on black and brown communities at the Gary-Chicago International Airport with Chicago Jobs with Justice on October 6, 2017.